It's the last day of the 2 for £2 on it just in case you had any coupons left? Lurpak was still working for me this morning ;)It's the last day of the 2 … Lurpak was still working for me this morning ;)It's the last day of the 2 for £2 on it just in case you had any coupons left? 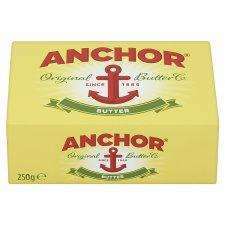 How do you all manage to use a block of butter, it goes rock hard in the fridge and you need to cut it like a block of cheese? How do you all manage to use a block of butter, it goes rock hard in the … How do you all manage to use a block of butter, it goes rock hard in the fridge and you need to cut it like a block of cheese? Don't put it in the fridge. Surely it would go off? My Welsh aunt kept it on the hearth in the front room, which was never used unless the vicar came round. There was a meat safe in the garden too; basically just a box with a screened door, to keep the flies out. i dont have coupons where can i get these coupons, some one has attached the link can i download. I managed to get the lurpak 2 for £1 with voucher last week (I chose a male operator as these tend not to be little hitlers), but the till wouldnt scan the yogurt £1 when spending £3+ when I had £3.30 of yogs, got the £1 back at customer services. cut a portion off 10 mins before you want to use it. Or put in microwave for 10 secs if you cant wait. margarine instead of butter - one of the biggest healthy eating lies ever!!!! dont put it in fridge simples. Are you sure? It's now £1.60 each online. margarine instead of butter - one of the biggest healthy eating lies … margarine instead of butter - one of the biggest healthy eating lies ever!!! !hot deal thanks!!!! I got 2 utterley butterly(BOGOF £1.80) and 1 I cant believe blah blah for £1.24. Total cost £2.04 with voucher. They had loads of leaflet near front entrance. There would be no point explaining to someone who so obviously carries such a narrow minded view that anyone who questions anything other than the information they are drip fed is wearing a tin hat. Go do your own research.......go on expand your mind, I dare you!!! Also please note you need a voucher,coming into a store and demanding i price match "the internet" will not work,not matter how many times you tell me its not the "internet"! There would be no point explaining to someone who so obviously carries … There would be no point explaining to someone who so obviously carries such a narrow minded view that anyone who questions anything other than the information they are drip fed is wearing a tin hat.Go do your own research.......go on expand your mind, I dare you!!! I bought 10 x Lurpak yesterday for £5. I used 5 vouchers at 5 different checkouts.